If you are facing a misdemeanor or misdemeanor charge in Auburn Hills, do not face the charge by yourself. Your future and your family's future should not be taken for granted, especially when opposed by the power of Judges, prosecutors, police officers, detectives, and the extensive money and resources at their disposal. Winning is important - it means everything. Having a well respected attorney that does not hesitate when opposing prosecutors, and who rolls up his sleeves to get the job done no matter what, capitalizing on every advantage is the type of lawyer you need. Your greatest hope of obtaining the best result under your circumstances is to have legal representation with the legal ability, intelligence, and the respect of the Judges and prosecutors, in your corner fighting for you. Often your defense needs to be on the offense to turn the tables on the prosecution. 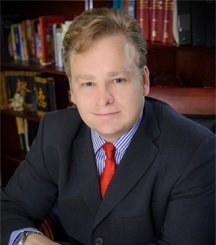 Contact attorney Daniel Hilf of Hilf & Hilf, PLC today for stellar legal representation. In the high stakes world of criminal defense, there is no room for mistakes, faulty advice, or anything short of diligent legal representation. You are important and deserve to be treated with dignity and respect by the legal system. Attorney Daniel Hilf's duty is to strongly defend people which the prosecution chooses to accuse of wrongful conduct. He is not here to judge you, but to attempt to protect you by fashioning your defense in the best possible manner. The goal is to help you live your life once again according to your own terms. Falsely Accused of a Crime or Overcharged in Auburn Hills? Hilf & Hilf, PLC Can Help. One of the worst possible predicaments is to be falsely accused of a crime. Representing someone who is the real victim is the most difficult type of legal representation, reserved for only the most experienced, dedicated criminal defense lawyers like attorney Daniel Hilf. The criminal justice system very far from perfect, and is actually quite flawed. Innocent individuals are persecuted for a variety of reasons, including: mistakes made by police officers; prejudice and bias; persons targeted by police officers; assumptions that are wrong; lies and deception; and violations of Constitutional rights. Police officers and detectives commonly jump to conclusions, and use their roles to build cases. The lack of neutrality increases the risk of innocent persons of being wrongfully accused. Attorney Daniel Hilf vows to use his legal abilities and experience to prevent a false conviction from occurring on his watch. This can only be achieved by devoting long hours to his cases, extensively investigating and preparing files, and yielding all of his legal acumen and resources to fight for the just result. There are many instances of persons being "overcharged", which also causes improper, unfair results. Overcharging occurs when the prosecution elects to charge a person with a more serious crime than what actually occurred. For example, a person who was involved in an assault and battery might be wrongfully charged with a felony accusation of attempting to cause great bodily harm even though that was not his intent. Just because someone is guilty of a petty offense does not mean that Prosecutors and Judges should try and push the envelope. For many cases, winning is not being convicted of a trumped up charge. The job of a zealous lawyer is to attempt to change or sway the hearts and minds of jurors, Judges, prosecutors, probation officers, and detectives to his client's advantage. Upholding the Constitution and protecting client rights, placing the case in the proper light, compassion, and persuasion all play roles in attorney Daniel Hilf's legal representation. You are encouraged to do your homework into the attorney who you want to have as your attorney. Your homework will tell you that attorney Daniel Hilf is an award winning attorney, with 20 plus years of criminal defense experience, with thousands of satisfied current and former clients. He is available to represent you or your loved one if you choose to retain him. Have you been accused of a crime, received a ticket, or have to go to the 52/3 District Court, Oakland County Circuit Circuit, Federal, or Juvenile Court? Attorney Hilf is a telephone call away to consult with, answer questions, and provide the expert criminal defense representation that you need. Payment plans are available in many instances, and attorney Daniel Hilf will gladly discuss the same with you. Hilf & Hilf, PLC conveniently accepts all major credit cards, debit cards, check, wire transfer, money order, and cash. Isn't it time that you had someone in your corner - someone on your side? If you have been charged with any type of crime, contact us immediately.